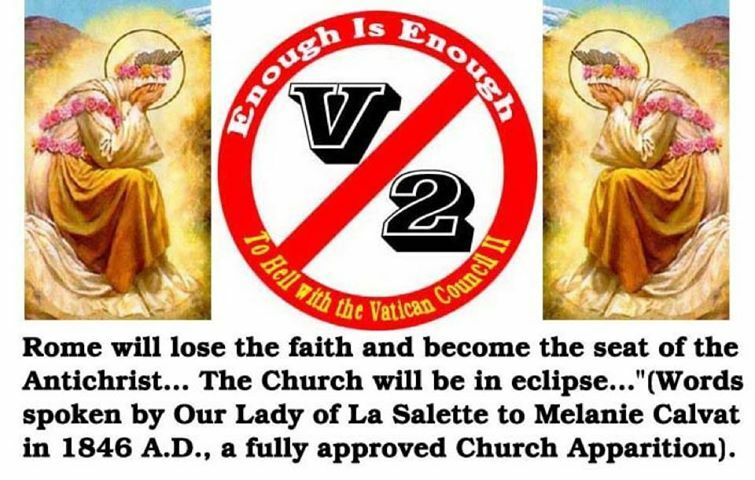 TradCatKnight: Synod Latest: "Dogmatism Coming to an End?" Bishops at the Vatican's worldwide meeting on family life issues are dividing amongst themselves to form lobbying groups in favor of various positions, Philadelphia Archbishop Charles Chaput has said. “I’ve never been at a church meeting where there aren’t groups that get together and lobby for a particular direction - and that’s going on, I assure you,” the archbishop said at a Vatican press conference Wednesday. The archbishop was speaking about the Synod of Bishops, an Oct. 4-25 meeting called by Pope Francis that has brought some 270 prelates to Rome to discuss issues of family life. While Chaput’s comments widely confirm what was already known about the meeting, they are notable for the way in which they publicly acknowledge that different bishops are actively pushing different viewpoints and trying to convince others to support their views. 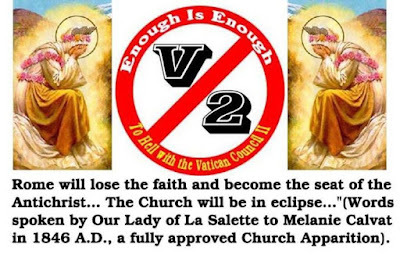 Among the issues known to be at discussion among the prelates is church practice towards Catholics who divorce and remarry without first obtaining annulments from the church. Anecdotal reports from inside the gathering indicate that the discussions have become quite fierce at times, with some bishops forcefully talking over others or sharply rebutting their arguments. Brisbane, Australia Archbishop Mark Coleridge said in a blog post Wednesday that the discussions had a certain similarity to popcorn. Chaput was speaking Wednesday at a briefing alongside Vatican spokesman Jesuit Fr. Federico Lombardi and two other Synod members: Peruvian Archbishop Salvador José Miguel Piñeiro García Calderón and French Archbishop Laurent Ulrich. The U.S. archbishop is one of nine American prelates participating in the Synod. He was answering a question about reports that Francis had spoken to the entire Synod gathering Tuesday morning, asking them not to give into a sort of “hermeneutic of conspiracy” that views other bishops’ ideas with negative intent. 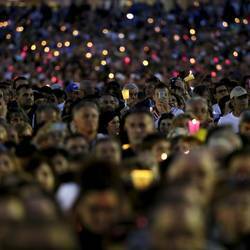 “We must work in order to be united,” said the French archbishop. The Synod bishops are meeting Wednesday and Thursday in small discussion groups, divided by language preference. They will reconvene on Friday and Saturday into open session. All the meetings are held behind closed doors, with daily briefings on the deliberations hosted by the Vatican press office. 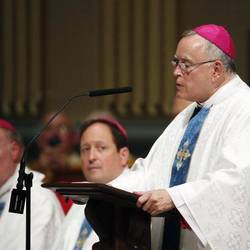 Chaput spoke several times at Wednesday’s briefing about reports that some bishops in the Synod have called for the church to use more open and inclusive language in its teachings on family issues. The archbishop said one concern expressed in his small group was that inclusionary language should not be unclear regarding church doctrine and should not allow politicians to interpret such language in ways the church does not intend. Chaput also said the task of evaluating the different Synod documents is made harder for English speakers, because generally they do not speak other languages and many of the Synod documents are in Italian. Sometimes, the archbishop said, the English language translations of the documents are inaccurate. The archbishop also spoke about the recent World Meeting of Families hosted by the Philadelphia archdiocese, the event that Francis closed with an open-air Mass on the Benjamin Franklin Parkway during his September visit to the United States. Many families at the world meeting, Chaput said, had a “hunger for reaffirmation” of current church teachings on family life. “People want it and want to live it and were very, very enthusiastic about it,” the archbishop said of the sentiment at the world meeting towards church teaching. In response to an NCR question about reports that some Synod bishops had suggested the church use more inclusionary language towards gay people, Chaput said that was not “a dominant part of the conversation” in the first days of the Synod. The Vatican announced the leaders of the 13 different small discussion groups being used at the Synod. There are four English-language groups, led respectively by moderators: Australian Cardinal George Pell, British Cardinal Vincent Nichols, Irish Archbishop Eamon Martin, and Canadian Cardinal Thomas Collins. The four English groups also have relators, or secretaries. Those, in the same respective order, are: U.S. Archbishop Joseph Kurtz, Irish Archbishop Diarmuid Martin, Coleridge, and Chaput. “Some times we bishops can indulge in a kind of churchspeak, which may seem wondrous to us but which communicates little or nothing to most people,” wrote the Australian. “We will have failed if all we can come up with is a final document full of churchspeak which the Synod fathers may admire but which most of the world find incomprehensible,” he wrote. It will be easier for a camel to cross through a dense jungle than any of these anti bishops and cardinals to return to the Path of Glory. The false messiah appears to be doing a great job in preparing his arrival. He might just show his face at the conclusion of the sinod. It reminds me of a professor that I had-- she said that the most beautiful thing would be for us to not be able to tell whether someone was male or female--- that this would be the most liberating and loving thing. Yuck. I'll double up on prayers for conversions!!! Today there's no difference between a Freemason and a modernist (false) bishop. This is satanic's work inside the Church. Ye i also think in the same way that the church teachings are getting directed in a different way.We must consider it and thing about the progress of the religion not in a bias way but in a positive and healthy manner. I am quite impressed by this topic and it really tells a very correct story band facts about the Christianity.After reading the whole article it strikes so much.